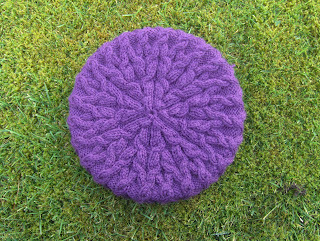 I've been fine and having fun knitting some hats. First finished was Gretel by Ysolda Teague made from Rowan Pure Wool Aran. 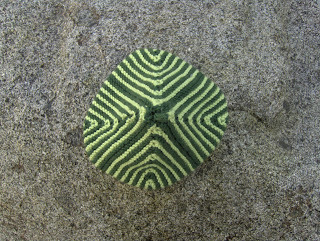 pattern was lovely and clear and held my hand every step of the way. It was good value for money at £3 for the download. I put in lifelines at strategic points because this one is being sent off to Santa and I knew I couldn't afford the time for a complete Frog Fest. If I were making this for myself I would go for the Slouchy rather than the Regular size but my friend does not have a large dome like me and wears her hair short. 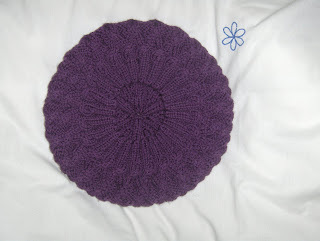 The next one started as a swatch and was zooming u p so quickly and beautifully it just turned into a hat. 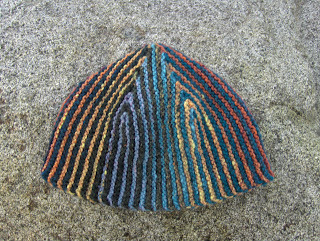 It is a variation on Tychus, a design by Brooke T. Higgins and published for free in Knitty Summer 2005. It's made from two ends of the same ball of Noro Kureyon. I had read on Ravelry that those with smaller heads may prefer to only do four w edges of short row shaping as opposed to the recommended five. 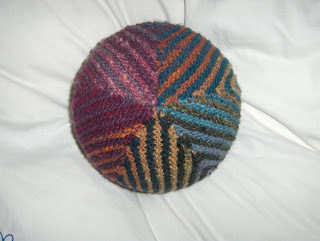 I was fine with five because I do have a fairly big head, plus I had gone down in needle size to suit the Noro. Most of the pictures on Knitty show it with a brim rolled back- I'm not into that, but if you are, then be ever so neat when sewing up and weaving in your yarn ends. 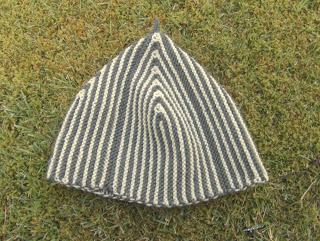 If I were to make it again, I'd cast on fewer stitches to take into account the lack of roll-back on the brim. I should probably mention that I did a provisional cast on to start both hats with the intention of learning how to graft garter stitch. I must admit that this did not happen, I just did a three needle bind-off at the end and was very pleased with the results. God Bless Scotland and God Bless You!